Wayne Mitchell is an agent with the U.S. Secret Service. As the first recorded adventure of this highly efficient member of the historied division of first the Treasury Department and now Homeland Security takes place, Mitchell is barely into his 30s and has been with the organization for six years. Prior to his acceptance into the organization, he had been a member of the U.S. Marine Corps, rising to the rank of Captain. This time frame would indicate that Mitchell, who was said to have been a well-respected officer in the Marines, must have been a tad better than that because the average age for making Captain is 27 and he would have had to make it at least two years earlier. Considering his prowess displayed as a T-Man, that is not unexpected. He is described as "6' 3"" with "a sculptured physique of 210 pounds", an "imposing figure". He is further said to have "rugged handsome features" making him an attractive candidate as there was no "female in Washington who wouldn't want him guarding her". Despite this appeal to the ladies, Mitchell has always maintained his professionalism and has not strayed outside his approved lines of behavior. One big quality that defines Mitchell is "loyalty". He is absolutely trustworthy in his determination to be true to his oath to protect his charges and nothing is allowed to interfere. Furthermore, his devotion to duty results in those he is protecting becoming steadfastly loyal to him. They trust him and have his back with the inevitable happens and things go wrong. The President says he wants a day or two of quiet fishing so he decides to sneak away from the White House. Only three people know he is playing hooky. 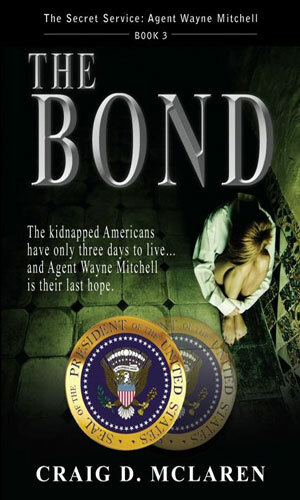 One of those is Wayne Mitchell, the Secret Service agent who agrees to arrange it, and when the President is kidnapped, Mitchell's options are few and all bad. The "List" is said to be a little black book containing a record of every favor handed out by the Chief Executive going back decades. It is just a myth, or so most people think. 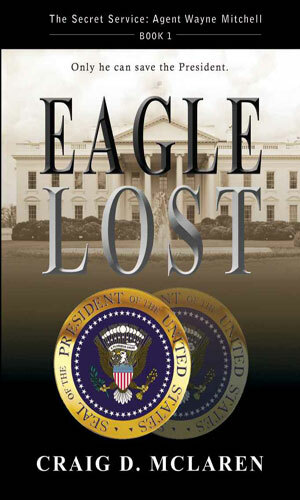 When the current President learns it has gone missing, he needs someone he can trust to get it back. Wayne Mitchell is that person. Americans are being held hostage by terrorists and there are but three days in which to rescue them. Two black ops to rescue captured citizens have failed and the President is worried there is a leak working against them. He asks Wayne Mitchell to go it alone this time. 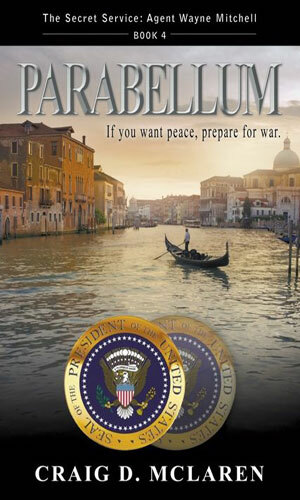 The assassin known as the Fixer is rumored to be targeting the Prime Minister of Italy. The US President fears the man's death will open the way for a communist government. He asks Wayne Mitchell to find and stop the killer but Mitchell quickly learns there is even more going on than suspected. I grade this series quite low because of two factors. The first is a pet peeve of mine that I make no effort to subdue. The second is just my opinion. The pet peeve is the fact that this series is written in the present tense. That is such an incredibly awkward way to tell a story. Storytelling is a millenia-old tradition of imparting how and why something happened. Past tense. The tale is over. The deeds are done. Millions of books have been written a certain way and to decide to scrap that proven technique to have words that read so "unnaturally" truly galls me. No double about it - I hate it passionately. Getting past that (okay, I really cannot) there is the logic behind the plots and the actions of the characters. Why things happen are a stretch to believe but still possible. Why the characters react as they do, not so much. The first adventure deals with a President who wants to get away from everything and go fishing. I can definitely understand wanting a respite from the pressure but to decide to sneak out like he does is hard to swallow. 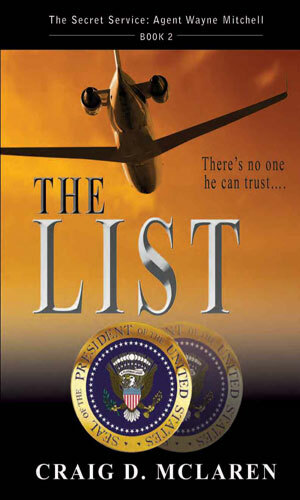 When the inevitable application of Murphy's Law takes place and the President gets snatched, the lone agent protecting him (Mitchell) decides that absolutely nobody in the whole government is trustworthy. Nobody. He has to go it completely alone. Well, except for two mid-20s homeless people whom he adopts and then enlists into his mission. I tried reading the second adventure but only got halfway through it. That breaks my own rule about reading at least half of a series before grading it but I had read enough.